When most people are considering a trip to Las Vegas, they may be eager to hit the slot machines or gaming tables, visit one of our many nightclubs, take in a top-tier residency show or a Cirque performance, maybe even just lounge by the hotel pool, cool drink in hand. Seeing wildlife is usually not high on many tourists’ (or locals, for that matter) priority lists. But I’m here to tell you that it should be. Most of us know about the MGM lions from the ubiquitous opening sequence of many feature films. 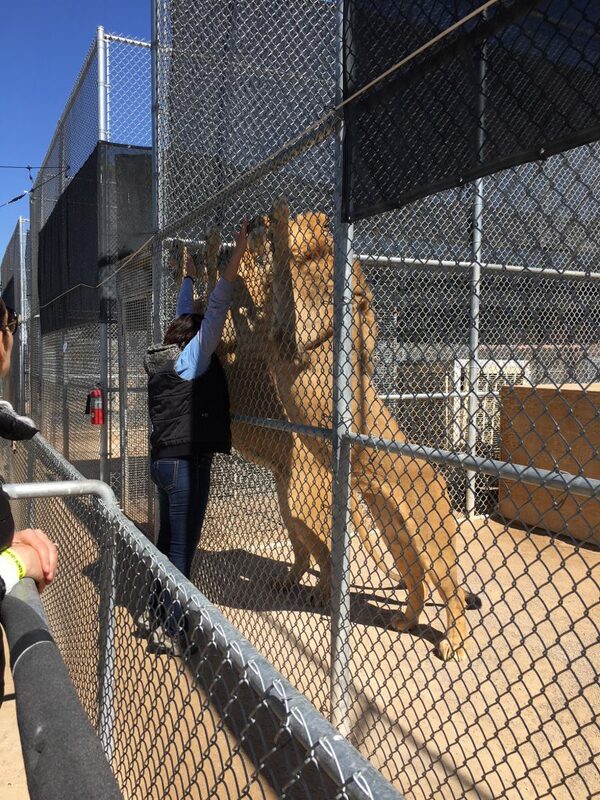 And many Vegas locals and visitors also remember the MGM Grand Hotel and Casino’s Lion Habitat, which was a popular free attraction open from 1999-2011, right in the middle of the casino. 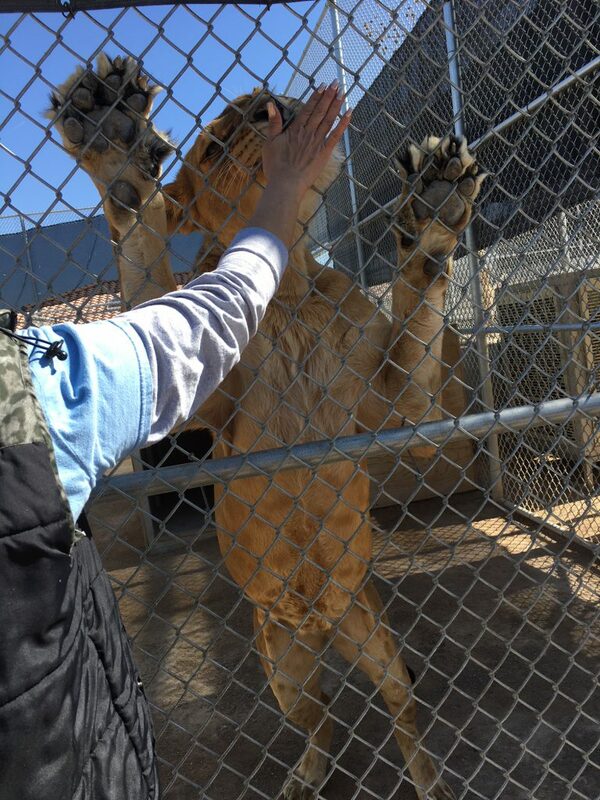 But what many don’t realize is that the lions actually lived primarily at the Lion Habitat Ranch, located about 12 miles south of the Las Vegas Strip on the outskirts of town, in Henderson. And once the casino attraction closed, the animals’ caretakers remained committed to giving these animals, and their descendants to follow, a safe home for the rest of their lives. 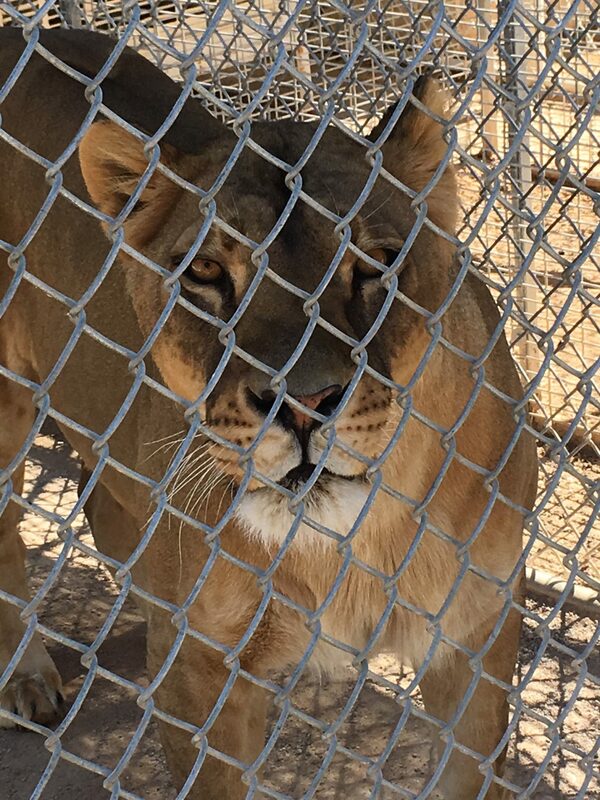 From the minute you get to the Ranch, the amount of love and passion the employees and volunteers have for the lions, (and a handful of other smaller species that also reside there, including birds) and their welfare is clearly visible. 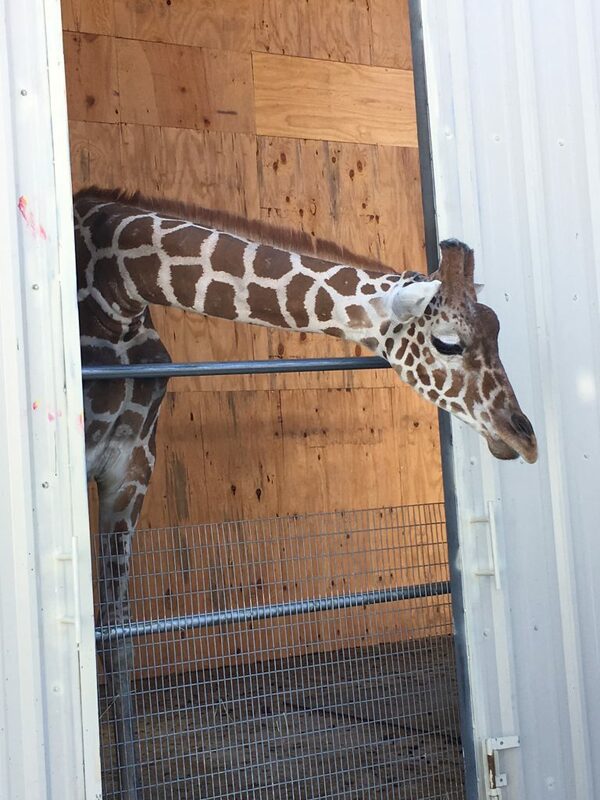 The place is extremely clean and tidy, and the animal enclosures are very well maintained and in good repair. They’re not lush and full of foliage, but most lions in the wild naturally live in a sparse African environment. And I’m not kidding when I say the place is clean, I don’t think I saw a single piece of poop on the ground either of the times I’ve visited. 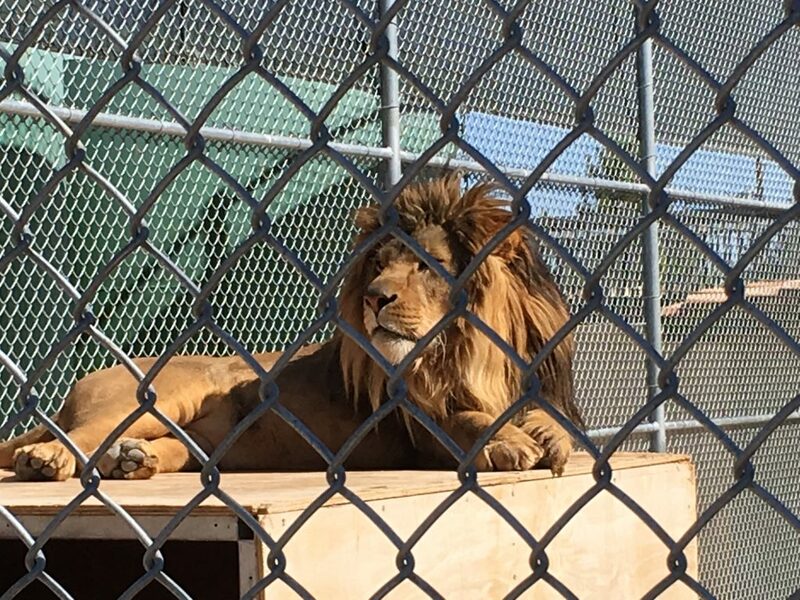 The lions all have den structures where they can go to get out of the hot Vegas sun, toys to play with, drinking water available to them, and plenty of attention from both trainers and visitors alike. One of the things I noticed pretty quickly was that the animals seem very relaxed and at ease in their homes. It’s always a little sad when you go to a zoo and see an animal constantly pacing and seeming anxious or miserable. 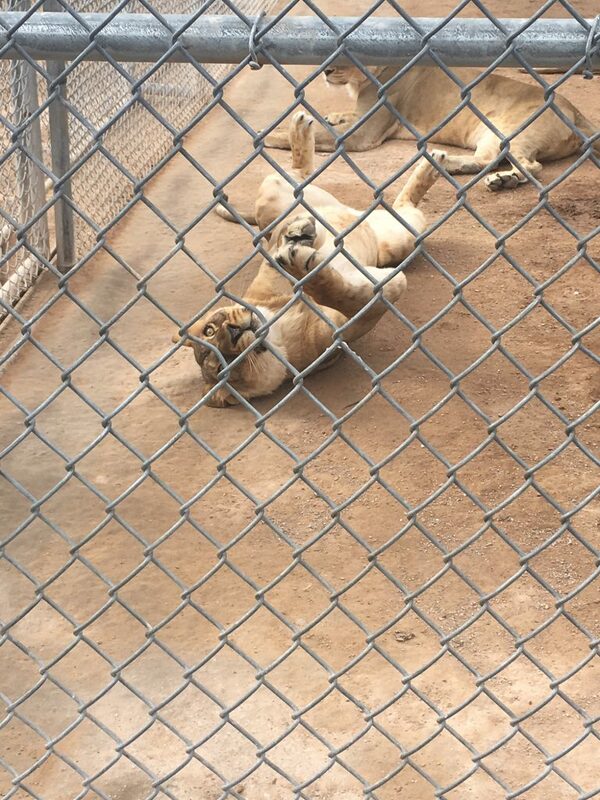 The lions at the Habitat Ranch were pretty low-key, except for when they saw a trainer approaching with a snack, of course! A pair of brother lions waiting for a snack. Which brings me to my next point, the employees are very hands-on, quick to share their knowledge with anyone who’s interested, and seem to know the animals quite thoroughly and intimately. 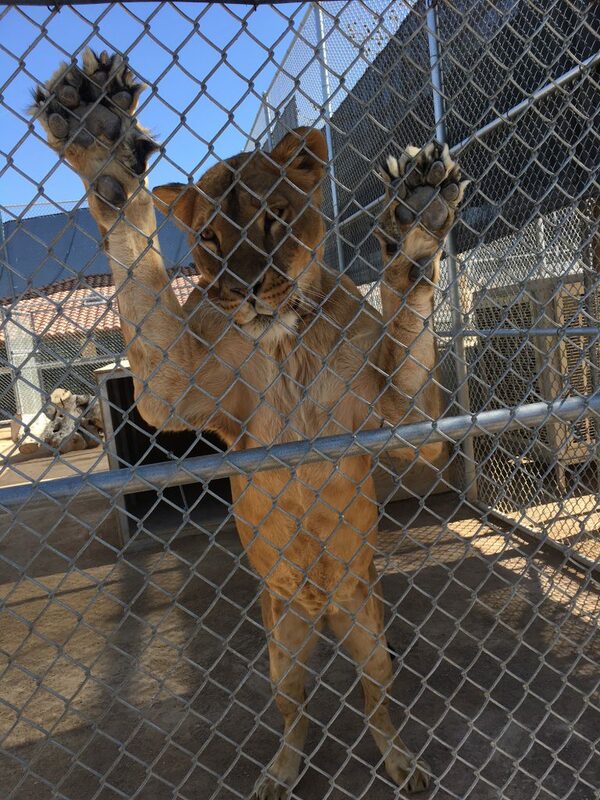 One particular trainer, who has worked with the lions for many years, was even able to identify the baby lion in a photo we posed for back in the MGM Habitat days, almost 20 years ago! He informed us that she was still alive, but being elderly and blind, was being cared for in a behind-the-scenes part of the Ranch. Often, when a group of visitors is viewing one of the lion enclosures, as the employee is explaining the particulars of that animal, they will pull a chunk of ground meat from a cooler and entice the lion to come over so they can hand-feed it, in order to allow guests a more close-up view, which also makes for some pretty spectacular photos. 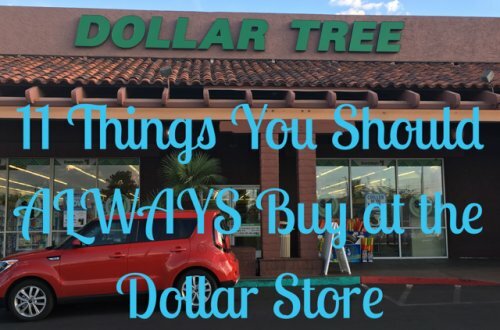 And I would honestly say, that’s the number one reason I would encourage everyone to visit this place. 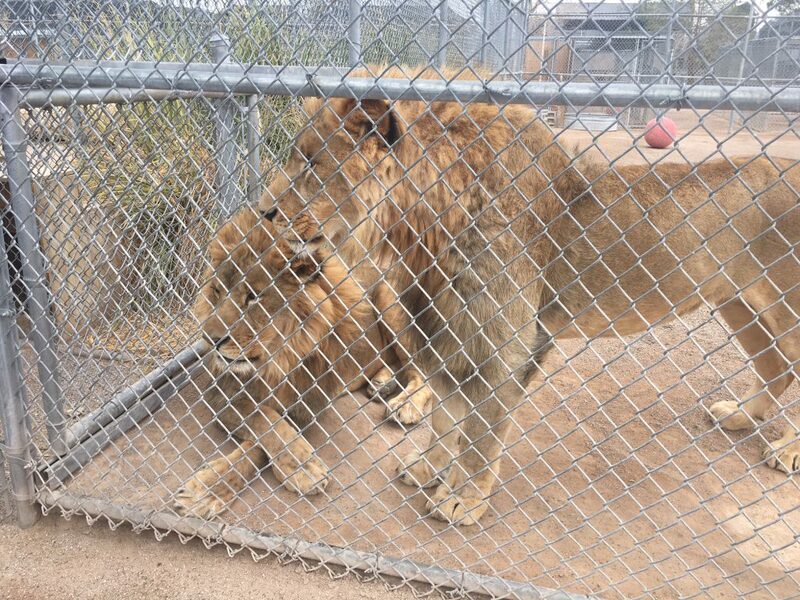 You get a much more intimate and personal experience than you would at most traditional zoos. There won’t be many times in your life that you’ll be a little more than an arm’s length away from one of the most majestic animals on the planet. It also helps that the Ranch was not very crowded at all, perhaps because of its somewhat remote location. 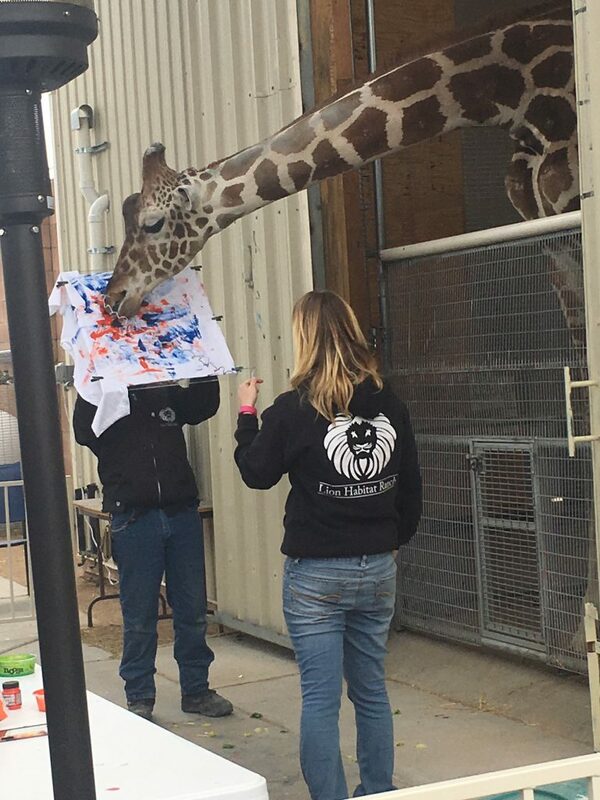 As a little change of pace, they also have a giraffe, Ozzie, who is quite the talented artist! He paints his masterpieces at regularly scheduled times throughout the day, and as an added bonus, for a small additional fee you can hand-feed Ozzie. If you’re willing to shell out a bit more dough, you can purchase one of his paintings in the small gift shop on site. hottest part of the day. Most of them were awake and engaged when we visited, but there are always exceptions. Siblings cuddling up for a nap together. 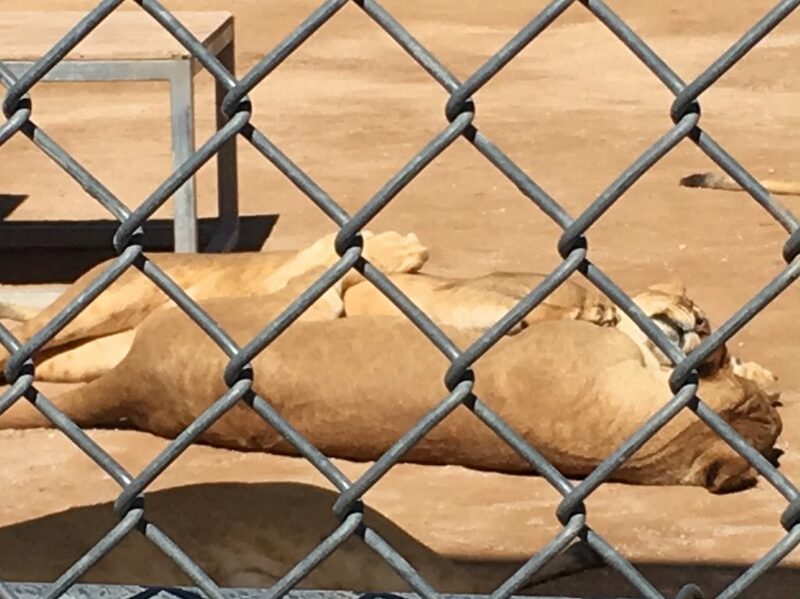 So in conclusion, if you’re a tourist who’s trying not to go broke on the Strip, or a local parent wanting somewhere unique to take your child for the day, the Lion Habitat Ranch is one of the great hidden gems in town. Don’t miss it. Visit https://lionhabitatranch.org/ for more info!